Hiiiiii. Happy Tuesday! Hope you’re having a wonderful morning so far! Don’t forget to get your free Nekter Juice Bar juice or smoothie in the app (code FITNESSISTA) and check in with your Winter Shape Up workout here!! 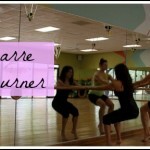 Today, I thought we’d chat a little bit about one of my very favorite classes to take and teach: barre!! 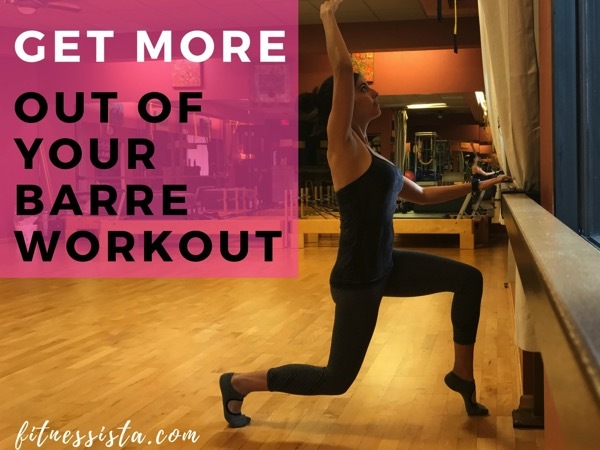 I’ve blogged a ton about barre workouts and have shared some video workouts with you, but I’d love to share some tips and tricks to get more out of your next class. So many exercises in barre workouts are small and controlled, focusing on the most challenging middle portion of the movement. Because they are so small and controlled, it’s easy to *wing* it and use supporting muscle groups to do the work. Really think about what muscle group you’re supposed to be working, and picture it contracting and relaxing with each tiny rep. In this study, participants increased muscle activity in moderate effort resistance by mentally focusing on that muscle group. It’s science, baby! This will help to protect your back, and allow you to get in bonus core work during the workout. Your core can’t function properly if your posture isn’t in alignment. For a majority of the standing work, try to keep your ears, shoulders and hips in one line. It’s easy to glance to the side and check the mirror to make sure your alignment is in check. During the bent-over flat back portion at the bar, avoiding sinking down into your shoulders. Keep your shoulders pulling down and your chest lifted, while supporting your core. On hands and knees, keep your core engaged and your hands stacked under your shoulders. While you pull your core up and in, allow your back to keep its gentle natural curve. -Watch your knees and toes. As an instructor, this is something that I’ve always been extra picky about. If your feet are out of alignment, it can throw everything else off from the ground up. Usually toes will be pointing forward, or slightly turned out. If you’re bending your knees past your toes, usually you’re UP on your toes (on the highest point). If your feet are flat, make sure your knees go towards your toes, but not past them. Any time you’re rotating your hips to bring your feet into any of the traditional ballet positions, make sure this movement is coming from your hips and not your knees. Squeeze your glutes as you rotate open. I was guilty of using my knees, and when I fixed this, I realized that I can’t turn my hips out as much. It’s not as *pretty* but it’s so much safer. -Is your foot pointed or flexed? barre3 really pushed me to think about this, because in the previous barre classes I’ve taught, during glute (aka “seat”) work, the foot was almost always flexed. If you point your foot, you’ll feel it entirely differently! Play with it a little and see what feels best for you! -Modify as needed according to how you feel. Just like any class or exercise, you’ll see the best results when you’re honoring your body. If something doesn’t feel right, feel free to take a modification you know and love, or ask the instructor for help. That’s what we’re here for. 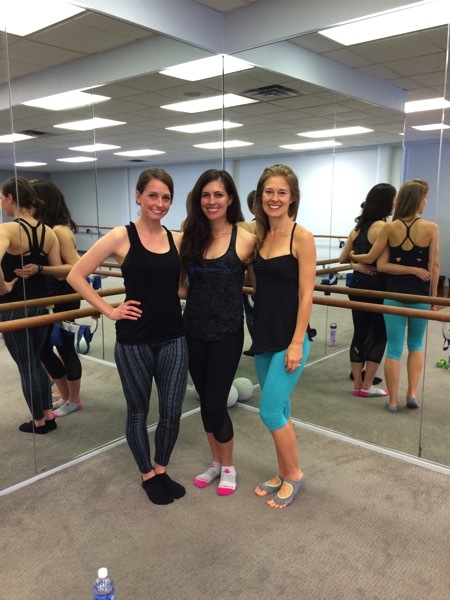 So tell me friends: have you taken a barre class? What’s your favorite studio? Favorite or least favorite move? My fave is by far the seated pretzel. It’s fun in an “omg my leg might fall” off kinda way. Last night, I posted a quick barre burner on my IG page if you want to check it out! What’s the hype with barre workouts? 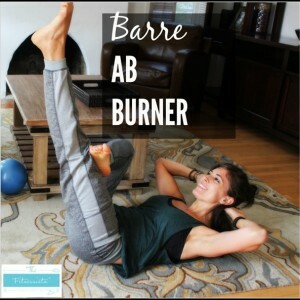 How to add barre into your routine? I’ve become a barre lover over the past year or so! It’s such an incredible workout in an entirely different way than I had worked out before. 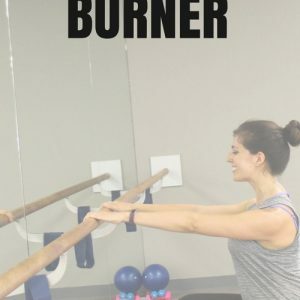 My favorite in Minneapolis is Haute Barre – they have a fusion class that incorporates some HIIT so you feel like you’re getting a cardio burst too. I’ve gone to The Bar Method a few times, but can’t quite get on board with how constantly they critique students’ form. I’m all for some, but it almost seems like a constant throughout class which I’ve found to be more discouraging than helpful sometimes. 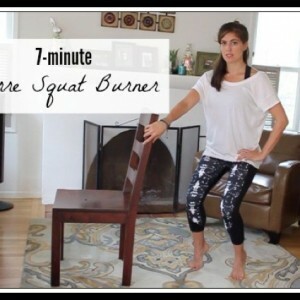 I have a strong love/hate relationship with any move that involves pulsing in a squat on 1 leg… burns so good. I’ve never taken a “real” barre class in a studio (trendy studios don’t exist in small towns in eastern NC, haha) so my favorite classes are the ones posted here! Perfect for lunch breaks, pumping breaks, and during naps! I hope this blog never changes or disappears because I get so much out of it and PPB! I’m all about barre3 and that childcare!!!! 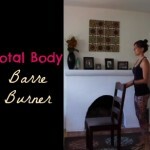 I love that you can “barre” it out anywhere even when you’re cooking dinner! Barre was my gateway workout. Totally got me hooked into working out. In the beginning I was out of shape and so leery of anything cardio. This helped me transition. 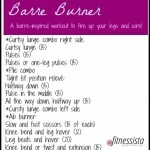 Barre to yoga sculpt to HIIT/running etc. I still try to fit in one barre class once a week. I love that barre works for both the beginners & more experienced. 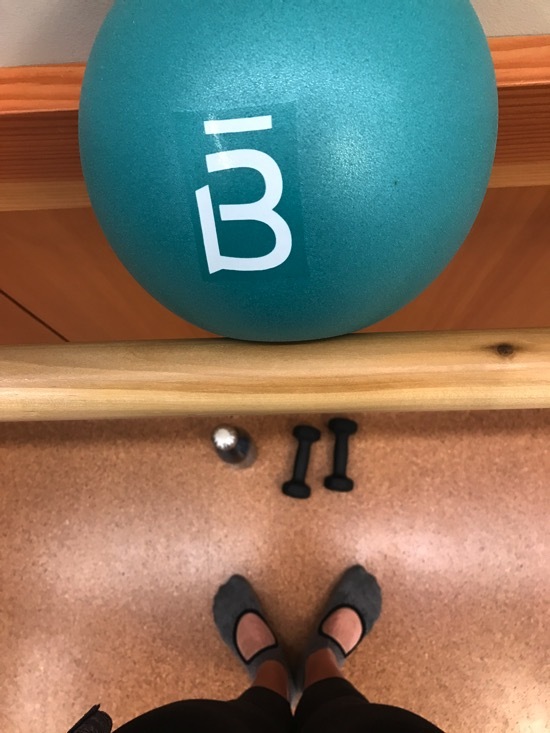 I love barre, but haven’t done it in months… which leads me to two questions. I’m breastfeeding, and I just can’t with the nonstop on demand feeding! I know it’s best for her, but I was wondering how you chose a formula and what you ended up using. I think for sanity I may need to combo feed! My second question is did you ever do any sleep training? Or have any books to recommend? Thank you!!! This does help. I haven’t been to one barre class that I like. It’s challenging but I look around and see everyone in the class doing something different and the instructor not correcting anyone’s form. Because the movements are so small, it’s hard to see what should be done for correct form. I’ve preferred doing reformer classes lately! There’s an awesome barre class at the gym at my university. The instructor is super knowledgeable and really motivating, even when my legs are burning and I want to give up. I’ve never even heard of it! But I will check it out. I have a bad knee, and can’t kneel on it. Can I still do this? Could you reply with a link for me to a beginner’s tutorial? Thanks in advance. hmm i would take it easy with the knee. how does flexion feel? I danced my whole life, but pretty much stopped after college. Barre has been awesome because I get to use all those same muscle groups again! I totally agree that form and control is everything when it comes to barre. Love the pretzel, too! Pretty much any of the glute moves I love haha. I’m addicted to Barre3 online (There’s no studio in my country). I’ve been doing it for about a year now & recently committed to doing it 5 days a week for 2 months. I can’t believe the muscle definition I’ve seen in just that short time. I love the modifications they give as I have a shoulder injury. that is so awesome. i’ve been loving the classes here!